On the simplest and most fundamental level, a Byzantine icon was conceived as a functional visual doorway that permits us through the image to attain a spiritual level of existence where, that which is represented on an icon in a material form, exists in a spiritual essence. To put it in very basic terms – an icon of the Pantocrator or of Virgin and Child is designed to channel our prayers and veneration to a spiritual realm in which the actual Virgin and Child and Christ exist. The icon is a transcendental image, which enables us to travel between various levels of reality. 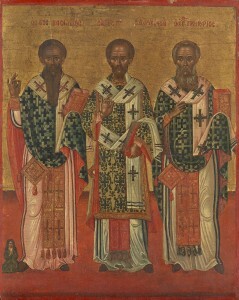 Saints Basil, John Chrysostom and Gregory, Icon, Greek, c. 1700s. National Gallery of Victoria. 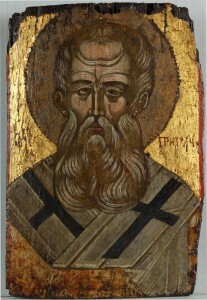 Saint Gregory the Theologian, Icon, Greek, c. 1500. In a private collection, Sydney, Australia. It was important for the icon painter to consciously implement artistic strategies which would prevent the beholder from confusing the iconic image with representational reality. Three important strategies included, firstly, the exaggerated size of the eyes designed to enable the viewer to enter the image and to travel through it to the divine prototype. Secondly, the disregard for realistic anatomy – these are spiritual portraits of spiritual beings, not naturalistically copied models. Finally, the use of plain colour backgrounds, usually gold backgrounds, as a formal device to liberate the image from an everyday reality. 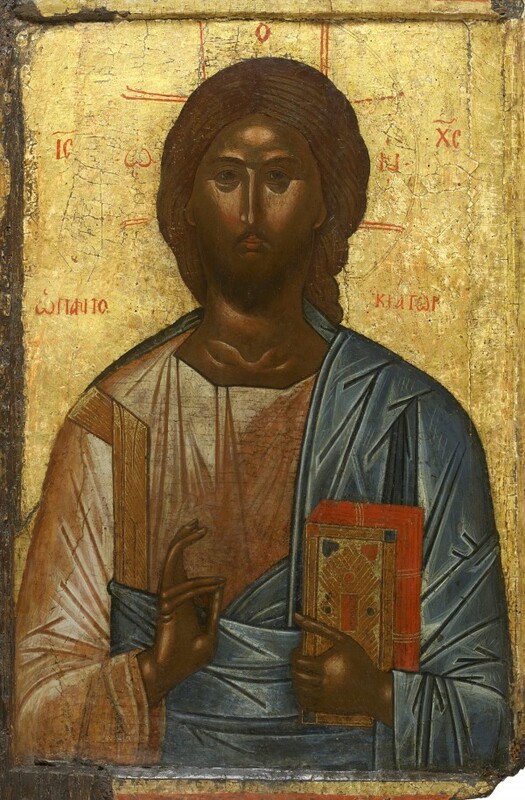 The icon-painter is making the explicit point that icons are not images drawn from a common reality, but they are functional spiritual images. In other words, this abstraction is deliberate and in no ways a sign of technical incompetence. The first aim of the icon painter is to create a ‘window into the spiritual world’, rather than a ‘window into the material world’. 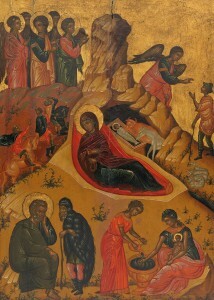 The Nativity, Icon, Victor of Crete, c. 1660-76. National Gallery of Victoria. The iconography of the Byzantine icon became the iconography of the Byzantine Commonwealth. It is a beautifully flexible iconographic formula which is firm in its fundamentals, yet flexible enough to incorporate national variations. 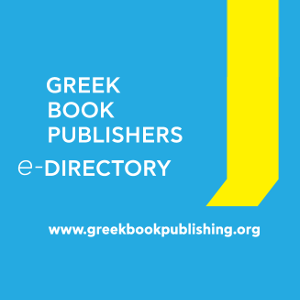 For example, an icon of a saint, St. Gregory the Theologian or St. Nicholas, is immediately recognizable, regardless of whether it was painted in Greece, Russia, Coptic Egypt, Asia Minor, the Syriac Church, Serbia, Bulgaria, or any other part of the Byzantine empire. 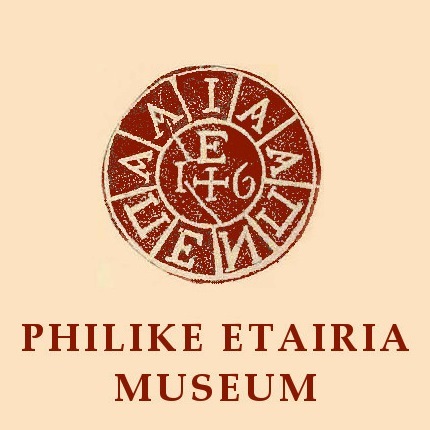 But it will also carry with it very recognizable national characteristics, which to a person knowledgeable in iconography will be immediately apparent. 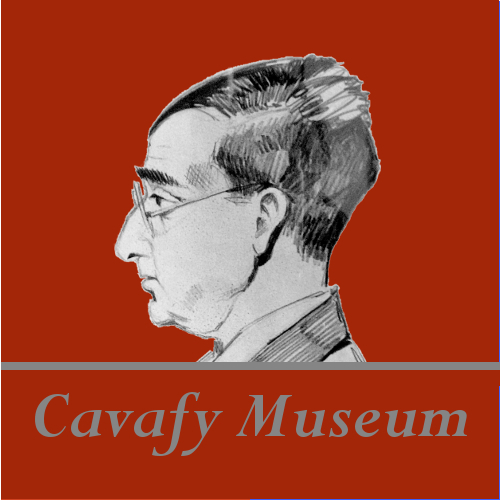 The meaning of an icon is generally accessible to a lay person. Most people seeing the icon of the Nativity of Christ will be able to decipher the imagery of the Virgin Mary, the Christ Child in the swaddling clothes lying in the manger and the adoring shepherds and angels and see this image as being associated with the Feast of Christmas. However, if a person is prepared to do a little bit of homework, deeper symbolic and liturgical levels of the iconography will reveal themselves and the allegorical, moral and spiritual levels of the icon will become apparent. 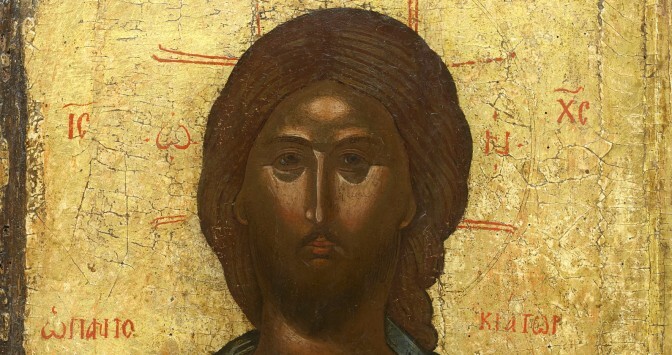 Apart from being functional prayer and liturgical images, some icons are also great works of art and historically icons have paved the way for the Italian Renaissance, and the revival of interest in the icon early in the 20th century was a significant catalyst for some developments in early abstract art. Professor Sasha Grishin AM, FAHA. For the HFC.